Deliver advanced functionality faster and cheaper by exploiting SQL Server's ever-growing amount of built-in support for modern data formats. Learn about the growing support within SQL Server for operations and data transformations that have previously required third-party software and all the associated licensing and development costs. Benefit through a better understanding of what can be done inside the database engine with no additional costs or development time invested in outside software. Widely used types such as JSON and XML are well-supported by the database engine. The same is true of hierarchical data and even temporal data. 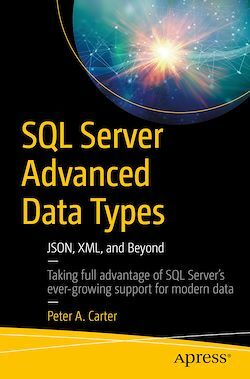 Knowledge of these advanced types is crucial to unleashing the full power that's available from your organization's SQL Server database investment.